We advise current and/or former staff to report any abuses you may have witnessed while working at Julian Youth Academy. For information on your rights and how to take action, visit www.heal-online.org/blowthewhistle.htm. If you were fired or forced to resign because you opposed any illegal and/or unethical practices at Julian Youth Academy, you have the right to take action. If you were harmed (family or survivor) by Julian Youth Academy, please contact info@heal-online.org if you remember the long-term employees and from which years. This will help! Also, if you recognize any of these staff as having worked at another program, please send in any information about their past or present employment at other facilities and/or cults. HEAL recommends against placing any child at Julian Youth Academy. Tiffany Morgan Director Reportedly now works for River View Christian Academy. "Blaize" Morgan Director Tiffany's husband Reportedly now works for River View Christian Academy. Ann Denton Counselor Reportedly is not a licensed counselor in California nor her home state. This program does not include their program details or enrollment materials online nor do they make them readily available upon request. HEAL has received one parent complaint regarding this program. HEAL has also received two reports from former clients alleging abuses and violations. WHITMORE, Calif. -- A young mother is facing murder charges after the mummified body of her baby girl was found dead at a boarding school for troubled teens in eastern Shasta County. 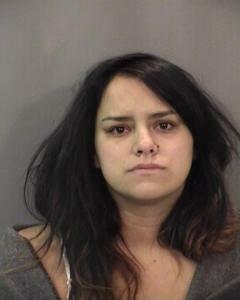 Jessica Nicole Bradford, 23, was arrested Sunday at Julian Youth Academy near Whitmore, east of Redding. KRCR News Channel 7 has learned Bradford is a current employee of the Julian Youth Academy and lived in a dorm on the 250-acre property on Tintagel Lane. According to the Shasta County Sheriff's Office, they received a report of a deceased infant around 5:30 p.m. Sunday. Deputies found the mummified body of a infant girl and determined Bradford, the infant's mother, was responsible for the death. A lengthy interview with Bradford revealed startling details about what transpired over the past few months. The Sheriff's Office says Bradford told them she got pregnant while working at the academy and that she gave birth on or about September 19th. She told investigators she hid the pregnancy from everyone, including her boyfriend of three years. She originally told investigators the baby was stillborn, but later admitted that it lived about four days before dying. Bradford said she thought about giving the baby up for adoption, but eventually decided against it. She admitted to neglecting the baby by not giving it any food or breast milk. She said she kept the baby in a vacant building on campus for those first four days and would check on it periodically while she still worked, visited her boyfriend and drove to Redding at least two times. Bradford said she didn't name the baby because she didn't want to become attached to it. After the baby died, she kept the child hidden in her room in a laundry basket for approximately a month and a half until a co-worker discovered it. When she realized someone had possibly seen the baby, she decided to move it to a utility closet on Friday, November 4th. Sheriff's deputies eventually found the child in that same closet on Sunday, the 6th. According to the Sheriff's Office, the baby was in a mummified state of decomposition. It was a fully-developed, full-term baby. Bradford was arrested for an open count of murder and willful harm or injury to a child. She is being held at the Shasta County Jail on $1,000,000 bail. She is expected to be arraigned Wednesday. The Julian Youth Academy is Christian residential boarding school for troubled teens. According to the organization's website, it was founded in 1993 as a non-profit private residential school for struggling teenagers in need of full-time supervision and redirection. It accepts students ages 12-17 and has another campus in Southern California. The academy has leased a 250-acre ranch formerly known as Shepherd's Ranch and the Cascade School, east of Whitmore, since 2009. Copyright 2011 KRCR. All rights reserved. This material may not be published, broadcast, rewritten or redistributed. DISCLAIMER: FAIR USE NOTICE: This may contain copyrighted (C ) material the use of which has not always been specifically authorized by the copyright owner. Such material is made available for educational purposes, to advance understanding of human rights, democracy, scientific, moral, ethical, and social justice issues, etc. It is believed that this constitutes a 'fair use' of any such copyrighted material as provided for in Title 17 U.S.C. section 107 of the US Copyright Law. This material is distributed without profit.